Will I Get An Email About My Shipment? Do I Need To Be Home When My Order Arrives? Can I Get A Call Or Text When My Order Ships? When Can I Expect My Poultry Order To Arrive? Ship chicks?! Will they be okay in shipping? We are not able to accept advance pickup order for supplies. Simply visit our retail store and shop to your heart's content. We are also able to ship supply orders. You are able to place a pickup order for chicks. Please select that option during checkout. The system will still prompt you for a shipping address. Go ahead and fill that out; we won't ship them without you asking, but this way we have that address on file in case you change your mind. If you are picking up a reserved chick order, you can pick them up as early as 10 am EST on hatch day until close, or anytime during store hours the next day. We are not able to hold live chicks beyond this 2 day period. 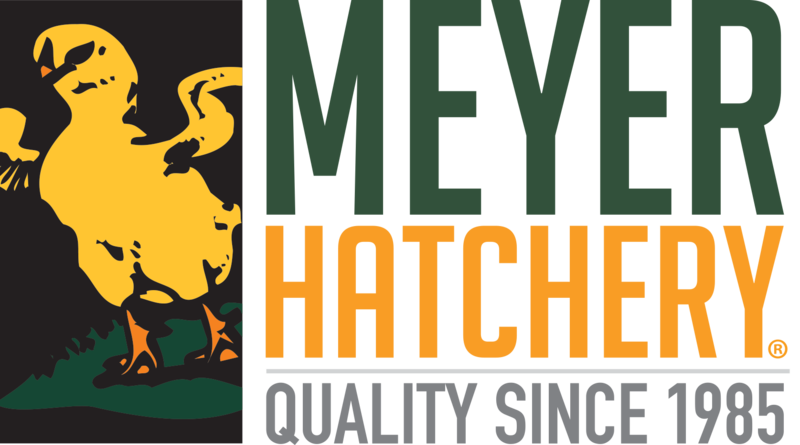 Why should I shop at the Meyer Hatchery Retail Store? What is Vital Pack? What is the difference between Vital Pack and Vital Pack Plus?